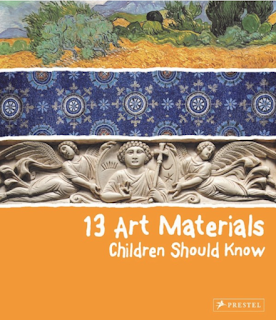 Narcisa Marchioro is the author of the new book 13 Art Materials Children Should Know. She is a secondary school art teacher and she has written textbooks and CD-ROMs about art. She lives in Marano Vicentino, Vicenza, Italy. Q: How did you come up with the idea for this book, and how did you select the 13 materials to include? 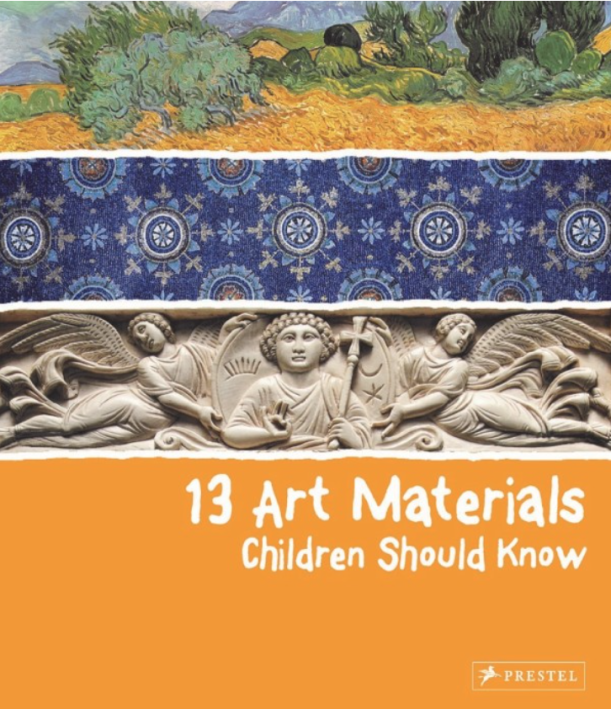 A: The idea of this book came up as I was resuming some school lessons which I had prepared in the past concerning the uses of different materials in art. I adapted them to the format of Prestel’s famous series, and they were very pleased to publish it. Too often when people think about art they think about paintings, colors, brushes: but art is much more than this. Mark Rothko once said “The satisfaction of the creative impulse is a basic, biological need.” And I think that thinking about art also in terms of different materials can really explain this human need. The prehistoric artist who almost 20,000 years ago beautifully carved the spear-throwing tool that opens the book, used something handy like a reindeer horn; exactly like the contemporary artist Vik Muniz (who closes the book) did, with something that our society has in abundance: garbage! What the two artists share is exactly that basic artistic impulse. So I selected the different materials keeping in mind the most popular and frequent materials, but also the more unusual. Q: The book includes many beautiful images--how were they selected? A: When I write about art, the selection of the images for me is always a very exciting but also awkward task: it can be very painful to have to discard some images, maybe for lack of space! Anyway, the criteria I always try to keep in mind is that a picture always has to be able to stimulate children’s natural curiosity, their observation, attention and intuition skills. As an art teacher (art history is mandatory in Italy for secondary school and for most of high schools), I have the great fortune of seeing how kids can get really involved in reading works of art; in fact, it often gives them the opportunity to speak about everything: cultural, social, historical, current events. Q: How did you choose the order in which to present the 13 materials you discuss? A: Developing the initial idea, I realized that the division into 13 sections is well adapted to an equivalent partition of many different historical/artistic periods and how materials have affected them, so the criteria for my selections have also taken this into account. This doesn’t necessarily mean that in the various chapters I didn’t include works of art from different time periods. A: The aim of the book is to engage young readers with the world of art, freeing them from prejudice and inspiring them with curiosity. A: I’m very thankful for this question, because as I said before, art is a subject that can be related to so many topics. Right now I’m working on many different subjects, including materials used in architecture. Speaking about architecture, I’m currently developing an idea about the Palladian style and Palladianism architecture. Furthermore, I just completed a book that I really believe in: it’s about visual communication - the oldest form of communication, and nowadays one of the most important ways that people, especially children, communicate and share information! The message is absolutely essential: readers become better equipped to take an increasingly active and critical position in interpreting images. I also just finished a mystery novel for young readers that takes place in two wonderful cities that I know pretty well: Venice and New York. What I need now is a publisher: let’s hope that some publisher will read your article! Probably due to the long economic crisis and to the terrible scaling back and cutting of funding for art in education, nowadays art is not considered as a required subject for publishers specialized in young readers. As I tried to explain before, I truly believe that it’s fundamental to engage children with the world of art: as they become adults they’ll be more aware and more proud of the extraordinary artistic heritage they have inherited and above all they will themselves be promoters of new and beautiful things. A: Well, there is something I would like my young readers and their parents to know and it’s that if they have any questions or are curious about anything I have a blog where they can contact me: just Google my name.